Just because Brodie Van Wagenen’s first Mets spring training officially starts Tuesday, that doesn’t mean his first Hot Stove season must end. Consider this one more plea to take an interesting first go and make it can’t-miss. The Mets’ pitchers and catchers report to camp on Tuesday, and that’s not as exciting as it sounds, since most of them are already there and “report” in this case means, simply, “Make sure you’re in town.” Nevertheless, the milepost marks another excuse to assess the team’s progress. As my Post colleague Joel Sherman noted, the Mets absolutely will field a superior roster to the one that finished the 2018 season. However, the only impediment to improving this already-improved group — for the short term, the long term or ideally both — is a willingness to spend more on talent. For very talented players remain very available in this slow-moving free-agent market. On Jan. 16, the day the Mets introduced Jed Lowrie at a Citi Field news conference, I urged the Mets to sign one of four big free agents — Bryce Harper, Craig Kimbrel, Manny Machado or A.J. Pollock — or commit long term to reigning National League Cy Young Award winner Jacob deGrom. Since then, the Mets’ biggest move came on Jan. 25, when they agreed a two-year, $10 million deal with potentially useful lefty reliever Justin Wilson. The good news for the Mets is that, since then, only one of the aforementioned players has signed, as the center fielder Pollock landed with the Dodgers. Let’s break it down not by price, but rather by fit. If the Mets want to say that they don’t need either Harper or Machado because their current roster covers them in those areas … OK. They do have intriguing options in both the infield and outfield, even if none carries the ceiling of Harper and Machado. It requires a leap to play along with this line of thinking, yet you can get there if you believe enough in this front office. 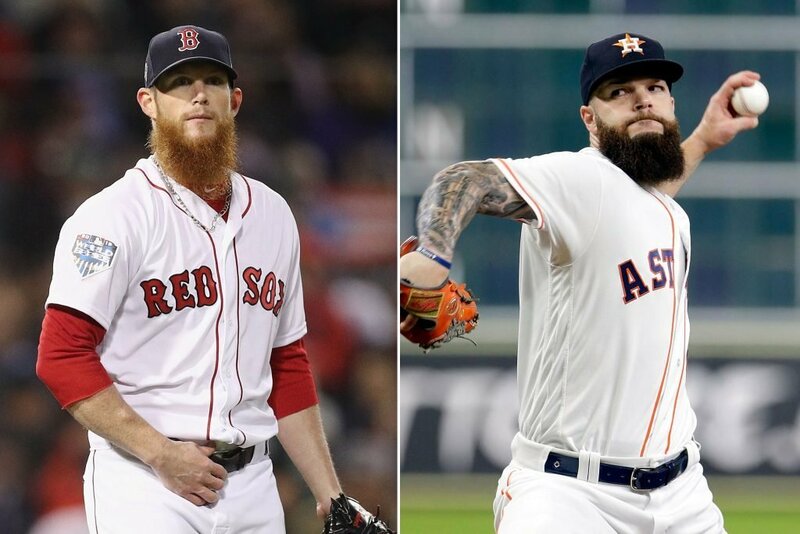 What about Kimbrel and the previously omitted Dallas Keuchel, though? They’d both fit brilliantly without uprooting anyone of consequence. Let Edwin Diaz set up for Kimbrel, or even better, get both guys to buy into the looser, closer-free system that Mickey Callaway talked of implementing a year ago yet never really got off the ground. And the starting pitcher Keuchel would integrate seamlessly into the starting rotation, with No. 5 guy Jason Vargas relegated to long relief or even the sixth starter if the Mets decide to give their starters extra rest during extended stretches of play without a day off. It’s unrealistic to think that all of the Mets’ starters will stay as healthy as they did last year. They still appear short on depth in this area. Last year, the Mets signed Vargas after camp started, and while it worked out horribly, their initiative should be applauded. The Mets saw a slow-moving market and decided to pounce on it. Van Wagenen, who wants to be known for his resourcefulness and creativity, should pounce on one of Kimbrel or Keuchel (I’d vote for Keuchel), and the Mets would still be well short of the $206 million luxury-tax threshold while getting insurance returns on Yoenis Cespedes and David Wright as well as Wright’s reduced salary for this season. If none of this works, then the Mets should at least find common ground with deGrom, their homegrown jewel who stands two years away from free agency, to ensure their fan base that they’re not going to let him go anywhere. Here’s betting that deGrom’s already stellar performance would benefit from peace of mind about his future. The entire Mets universe could use some peace of mind after the last two seasons. This already figures to be an upbeat camp with all the new arrivals. Imagine the excitement if one more big name strolls into the First Data Field clubhouse, or if deGrom holds a news conference to discuss his secured future? Don’t let the Phillies, who still seem likely to sign either Harper or Machado, have the last word of this offseason. Before Van Wagenen again urges his National League East rivals to “come get us,” he should go get another big catch.